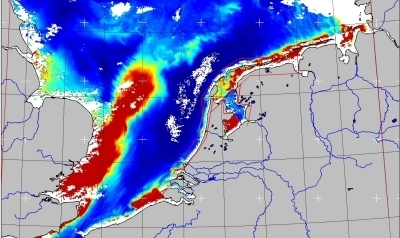 Why is the study of ocean colour in coastal zones important ? Because ocean colour tells us something about substances in the water. Coastal water quality depends on water concentrations of nutrients, pollutants, sediments or organisms. Coastal water quality is affected by human activities and, in turn, influences our daily lives. Approximately 40 % of the world's population is living within 100 km of the coastline. Numerous consumer products are produced in the coastal zones. Ocean colour in the coastal zone ! 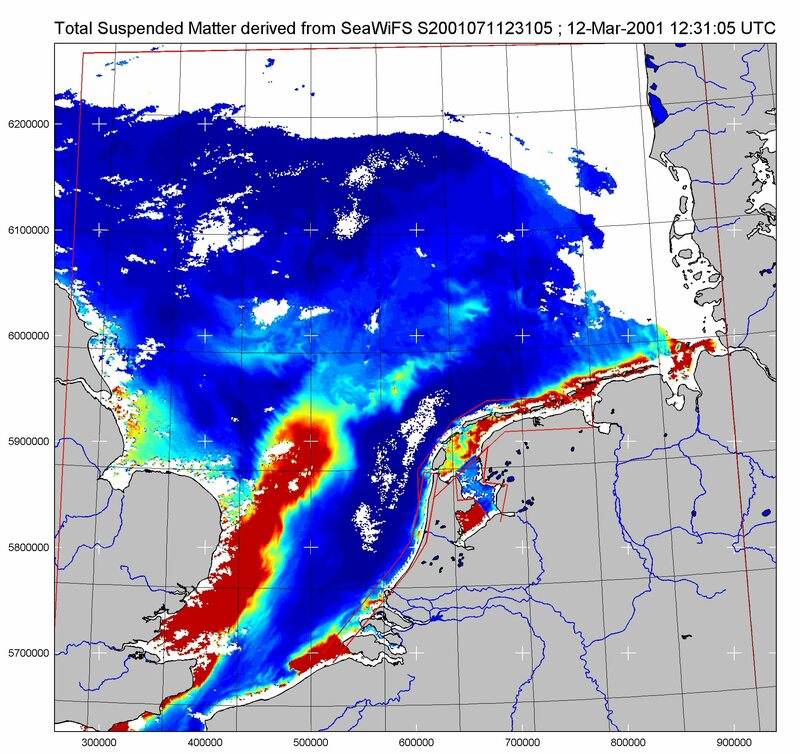 Suspended Particulate Matter (SPM) map from SeaWiFS image. Source: Institute for Environmental Studies (VU-IVM).